With the increasing demand of care for 0-2yr olds in the area, Con & Dora Savva opened Mama Bear Child Care Centre in January 2009. 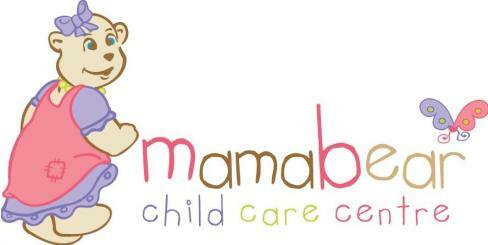 Mama Bear is our first centre which caters for 0-2yrs age group and is licensed for 40 children per day, between the ages of 0yrs-5yrs. We are open 7.30am - 6pm approx. 50 weeks/year, closing at no charge to families over the Christmas/New Years period. Mama Bear also has a real warm home-like setting. From outside the building you would not think it was a child care centre, and that’s how we like it! Although many people ask, “what’s upstairs?” - it’s our storeroom and staffroom. Mama Bear is an air-conditioned building with security intercom for parental access. There are 3 playrooms with a 2-4 Bear Team Educators for each playroom, being 2 qualified Educators (including min 1 Early Childhood Teacher ECT), plus additional playroom assistant who will hold either a Children Services Cert III or be studying a Children Services Cert III Traineeship. We are always working well over staff regulatory ratios, which ensures the best educational outcome for your child. Each Playroom will have a playroom leader who will supervise the operations of the playroom environment and Bear Team, ensuring that the Playroom Daily Routine, and Policies & Procedures are adhered to, in addition to preparing their Weekly Interest-Based Program and Pre-School Readiness Program. Each Educator has their own group of focus children, so they can program, reflect and prepare opportunities based on your child’s interests and developmental needs, and assist in the implementation of the Pre-School Readiness Program. Playroom equipment is interest based and age-appropriate for each age group. This is another benefit of separating the older children, 4yrs - 5yrs from the younger groups so that they may be challenged at a higher level, and best prepared for Big School. The younger Bubba Cubs (0-2yrs), have their own contained playroom and sleeproom, to ensure their safety and best opportunity for reaching their developmental milestones. Mama Bear has 2 outdoor areas: one for the Bubba Cubs and one large outdoor area equipped with both fixed and removable structures for the 2yrs - 5yrs ages. The Educators prepare a Weekly Outdoor Interest-based Program providing varied and exciting physically active or quiet opportunities in the fresh outdoors for your child. Whilst there are separate outdoor areas and playrooms for the different age groups, during morning drop off and afternoon pick up times, ALL children are together so they can enjoy mixed social play - its important the Bubbas learn to feel safe with older children, and that older children learn to play carefully around the Bubbas. This has proved to be particularly helpful in assisting older children who have new babies in the family, and are struggling to cope with changes to family dynamics. Monthly visits are made by the Pre-School Cubs to St Basils Nursing Home to visit and share experiences with the elderly, with a end of year Christmas performance to entertain the residents. Social events and charity fund raisers are held throughout the year, with a huge Christmas celebratory concert every December. Mama Bear also has a kitchen with a cook who provides wholesome, nutritious meals for your children; a Laundry for laundering sheets, blankets and uniform hats; and a staffroom and staff bathroom for the Bear Team. The children’s Washroom is shared between the 2 playrooms and has nappy change, shower, and toileting facilities.